Vietnam Mobile Day 2017 is one of the largest annual conferences in Vietnam Mobile industry. 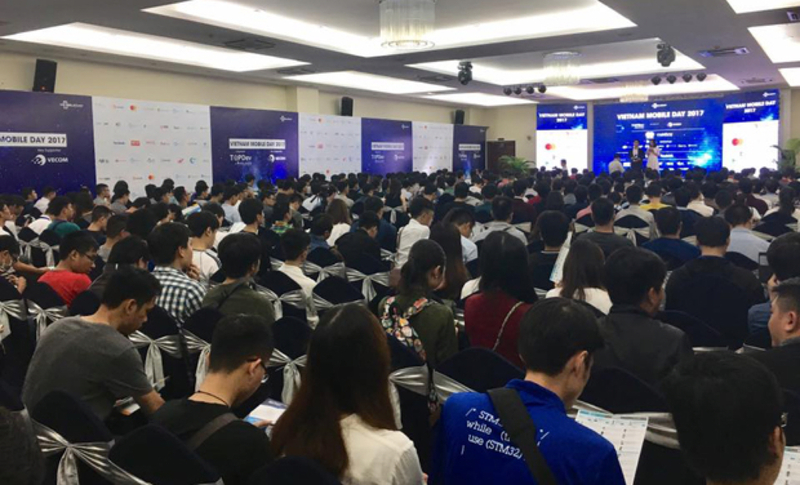 This conference was organized by TopDev together with Vietnam E-Commerce Association (VECOM) in three big cities, including Hanoi, Danang and Ho Chi Minh City from 20/05/2017 to 3/06/2017. The conference was dedicated to the three main topics: “Mobile Ecommerce”, “Mobile Business”, and “Mobile Technology”. 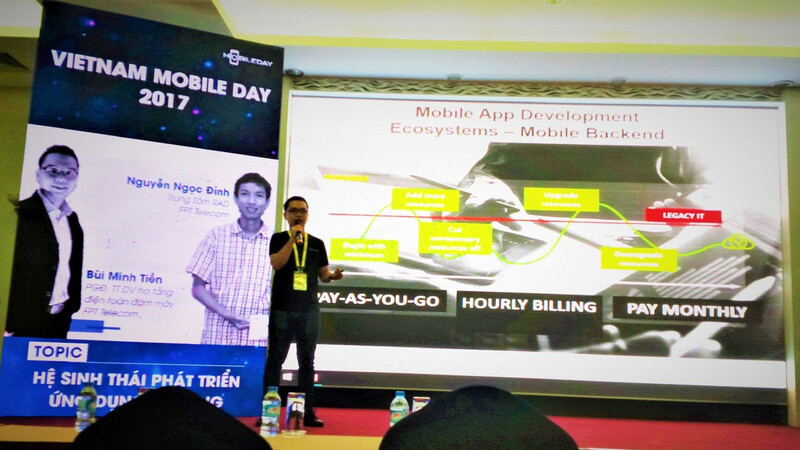 Vietnam Mobile Day 2017 attracted many developers, marketers, designers and entrepreneurs. This is the chance for them to listen to the top speakers from the leading Vietnamese and foreign Internet & Tech companies, to learn the newest trends and share their experience and in-depth knowledge. FPT HI GIO CLOUD was presented by Mr. Bui Minh Tien from FPT International Telecom (FTI) on the both conferences: in Hanoi and Ho Chi Minh City. He was discussing a difficult problem that many businesses are currently facing: "Today, application developers and startup companies are focused on bringing their ideas into practical applications and the use of tools and programming language are their strengths. But besides this, to ensure if the application is running well or not always depends on a system platform this application is hosted. Most of the developers and startup companies currently do not have much experience in choosing the right infrastructure." Mr. Tien pointed out the issues of the high cost of physical devices and management capabilities when businesses build their IT infrastructure. And the solution to this problem already exists. "Using the cloud computing platform of the top service providers (buying virtual servers and services) is becoming the global trend and Vietnam is not an exception." Cloud computing services are solving a lot of your technology problems. 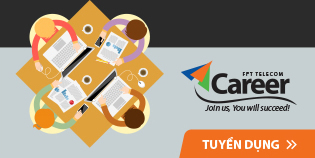 Audience asked our team this question: “How to choose the best cloud computing service provider?”. Mr. Tien’s reply was fast and direct. He introduced FPT HI GIO CLOUD – the most comprehensive full-scale and full-spectrum cloud in Vietnam. He mentioned about the recent launch of FPT HI GIO CLOUD in April 2017 which already has brought us a lot of public attention. Also he was talking about the outstanding features of FPT HI GIO CLOUD and it’s comparison with other cloud computing services, especially the advantages of the system deployment, the network, FPT HI GIO CLOUD performance, it’s absolute stability, high security, advanced customer support, etc..
Vietnam Mobile Day 2017 is now finished, and we are looking forward to attend the next Vietnam Mobile Day next year.